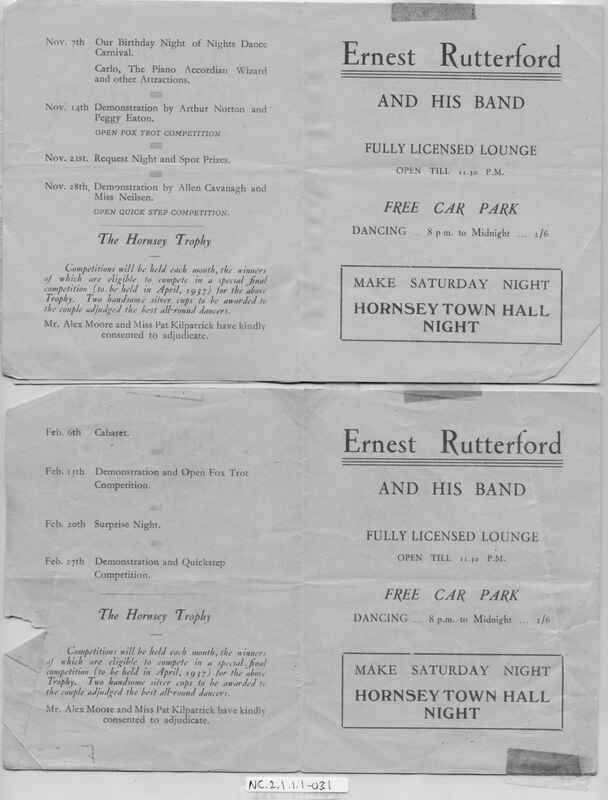 Full Description: Two programmes featuring performances by Ernest Rutterford and his Band. 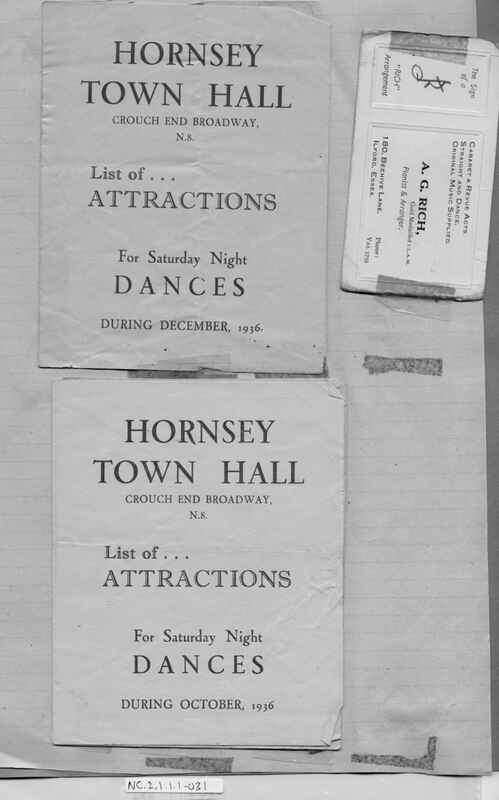 They are for gigs at Hornsey Town Hall in December 1936 and February 1937, with "Dancing 8pm to Midnight". For further images and programmes of the various formats of this band, see Items NC.2.1.1.1-024 , -25, -26, -31, -37, -and -38.